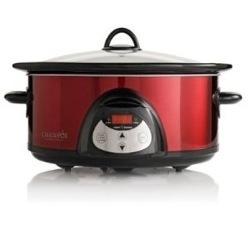 Crock Pot Reviews - Buy the best crock pot for the best results. Choose the best crock pot for your needs. 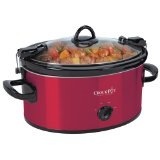 Crock Pot Reviews help you make an informed choice when buying a new slow cooker. 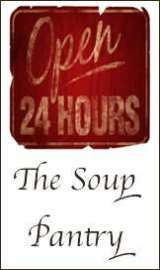 Who makes the best crockpots and what do customers like about them? My crockpot is an ancient Rival, 3 quart (round) and it has served the purpose as our family has grown and still serves well now that it's just the two of us. However it's starting to get tired and I'm looking for a replacement. There are certain features I'll be looking for this time; an oval shape will be more suitable for my needs, a glass lid allows me to see the contents without removing the lid (I just give it a little spin or tap to remove the condensation), high, low and warm settings to give me more options for timing meals. Also, I prefer (but am not committed to) dial settings rather than digital, probably a throwback from the pioneer days, and I won't be considering any crockpots with a non-stick coating in these crock pot reviews. A removable crock insert is a must for classy serving and easy cleaning. Available in sizes ranging from less than a quart (liter) to several gallons, choosing the right sized slow cooker for your needs is essential if you want the delicious results that crockpots are known for. For instance, I love to cook oats for breakfast, overnight in the crockpot, but we need only about 3 cups of oatmeal. A 6 quart crockpot has no idea what to do with 3 cups of contents. I've decided to purchase 2 crock pots for our needs. A small 1.5 quart size for hot cereal and small meals and a 3.5 quart for soup, meatloaf, a whole chicken and that sort of thing. The temperature of the new slow cookers has been elevated (probably for food safety reasons) and in some cases are so high that there's nothing slow about the process. If you're replacing an older model of slow cooker you'll notice that the temperature on your new one is higher. In general slow cookers cook at 200F on low setting and 300F on high. Every time you lift the lid you should add 20 to 30 minutes to the cooking time. In order to do it's job properly a crockpot should be filled no less than half full and no more than two thirds full. Slow cookers come in a very wide size range and enthusiasts often have 2 or 3 in different sizes. For making soup we recommend a crock pot at least 3.5 quarts. For large batches go with a 6.5 size. Because I like to make soup frequently (rather than a lot at a time), a smaller size (3.5 qt.) works just fine for me. Typically a crock pot has a "high" and "low" setting, many now have a "warm" setting (some, like the Crock-Pot 6-1/2 Quart, Programmable , will switch automatically to warm when the contents are finished cooking) and this one even has a "simmer" setting that consumers report as being much closer to the old "low" temperature. This is the funkiest crock pot we've seen. It comes in red, yellow, orange or lime green, cooks like a dream and takes very little cupboard space. I figure, if it's going to sit out on the counter all day it might as well look great, right? But don't get me wrong, I would turf it in a second if it didn't perform. I'm not looking for a counter decoration. I noticed that some of the colors are priced well below others, so if you don't care about the shade, check the prices on all of them. There's a white edition too here , that Amazon customers have reviewed very highly. The only down side to this crockpot is that it's small and there doesn't seem to be a larger size that ranks as highly. "This is the best small slow cooker I could find. It is the only one with high, low, & warm settings, in a oval shape. Works great, highly recommend this slow cooker." "I love this little slow cooker! It's perfect for a meal for two"
Of all of the slow cookers we reviewed the Cuisinart came out on top of the 3.5 quart sized models. Consumers like the "simmer" setting on this one that is set below the low temperature setting. The oval shape is much easier to arrange stuffed peppers or a whole chicken in but still works great for soups, stews and chilis. An easy to use digital keypad is operated by pressing the + or - symbols to select plus or minus 30 minutes at a time. The upside (I've discovered) to a digital keypad, is the ability to program the unit to switch to the warm setting when the time is up, keeping the food warm, at a safe temperature, until you're ready to eat. "I absolutely love this slow cooker! If this was available a few years ago I could have saved tons of money trying to find a slow cooker that didn't overcook everything!" "I use this crockpot several nights a week. Chicken, soup, pasta sauce, pork, beef... you name it. It all comes out perfect"
It's RED and it's beautiful. Crock-pot's 6 quart is our choice in this size range. The lid is designed with clamps for spill free car rides. Priced well below most of the slow cookers in this category and it reviews better than some that cost 4 or 5 times as much. Most importantly, this unit does exactly what it says it'll do. It slow cooks a meal to perfection. "I HIGHLY recommend this crockpot to anyone looking for functunality and a very reasonable price. " "The price is very reasonable. I recommend this product highly. It's a nice quality pot and beautiful in appearance. " Do you LOVE or $%&# your crock pot? Not all crock pots are created equal and there are a LOT of differing opinions on which slow cookers cut the mustard. What kind of Crock Pot do YOU own? Do you love it or... not so much? Tell us all about it. You can even include as many as 4 pictures.